I have always been fascinated by maps. As a child, I would spend hours paging through my first world atlas; a book with a glossy, light blue, hardback cover whose spine weakened with each enthusiastic read. Occasionally, with a pen in my unsteady young hand, I would trace the borders between countries whose names I could barely pronounce. With that same heavy pen, I circled capital cities and underlined major towns, obscuring details with a childish imprecision I would later regret. Ahead of family holidays, I would stand captivated by my father’s side as he poured over a map spread out on the dining room table, his index finger following the colored lines which would transport us to the impossibly remote land of North Wales. I remember proudly (and repeatedly) proving to patient parents that I could spell “Czechoslovakia”. Over twenty years later, on New Year’s Day 1993, I recall feeling a genuine pang of disappointment when that particular skill lost its usefulness. Yet, for all of my enthusiasm, I was too young to possess even the slightest comprehension of the practicalities of getting to any of the place names that dotted the maps, whether or not I could spell them. I just knew I wanted to get to them. All of them. “Well, I never thought I’d get here”. As our plane touched down in Ushuaia, these words and memories of my first world atlas came unbidden to my mind. As the world’s most southerly city, you can’t blame Ushuaia for trading on its end-of-the-world location. And what a location. 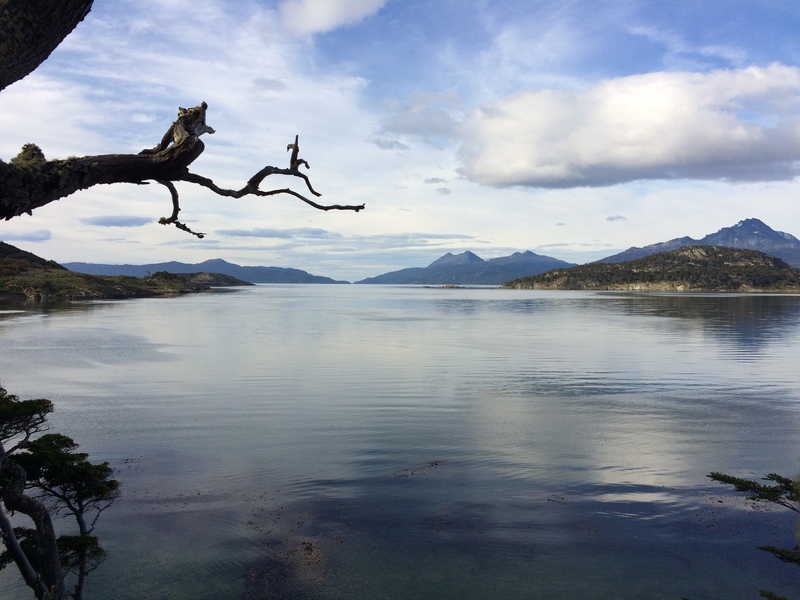 Confined by the Beagle Channel to the south and the Andes mountains to the north, the city sprawls chaotically between its geographical constraints. 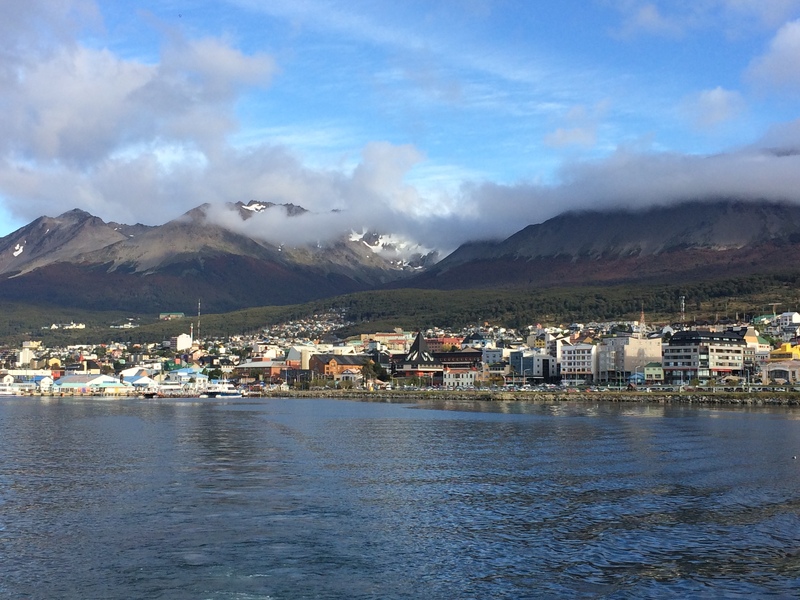 While no one could convincingly argue that it is a pretty city, Ushuaia’s dearth of architectural elegance is rendered invisible by its stunning setting. The city’s frontier feel is only slightly diluted by the number of visitors it attracts. The knowledge that almost the entire population of the world is north of you is an unexpectedly weird experience; although I did consider pressing myself, beer in hand, against the most southerly window in one bar in order to secure bragging rights over just a few more of the species. 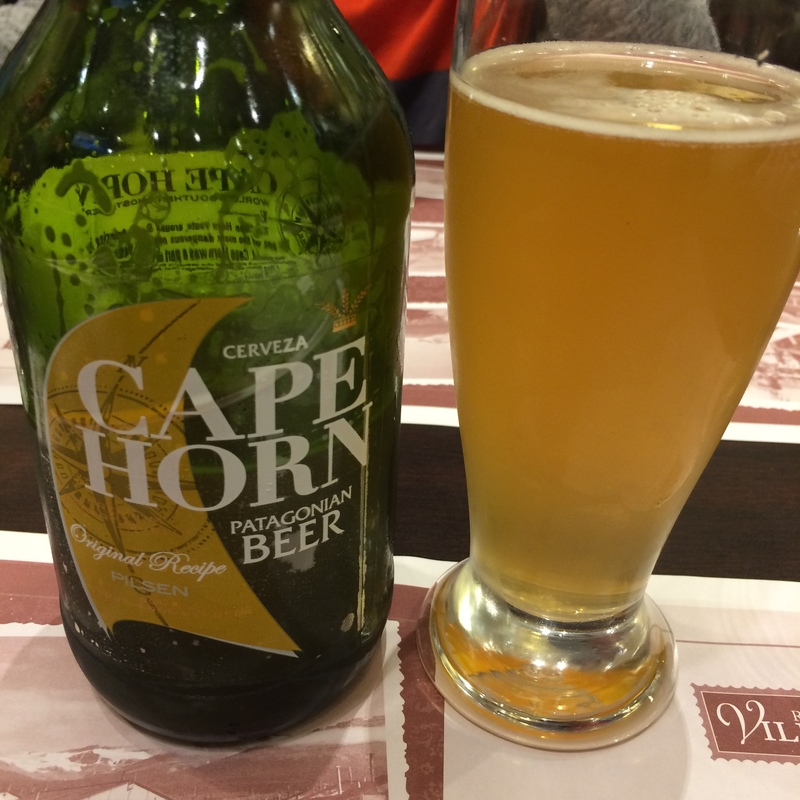 With the title of almost the world’s most southerly drinker secured, our first full day in Ushuaia came with a sense of trepidation. 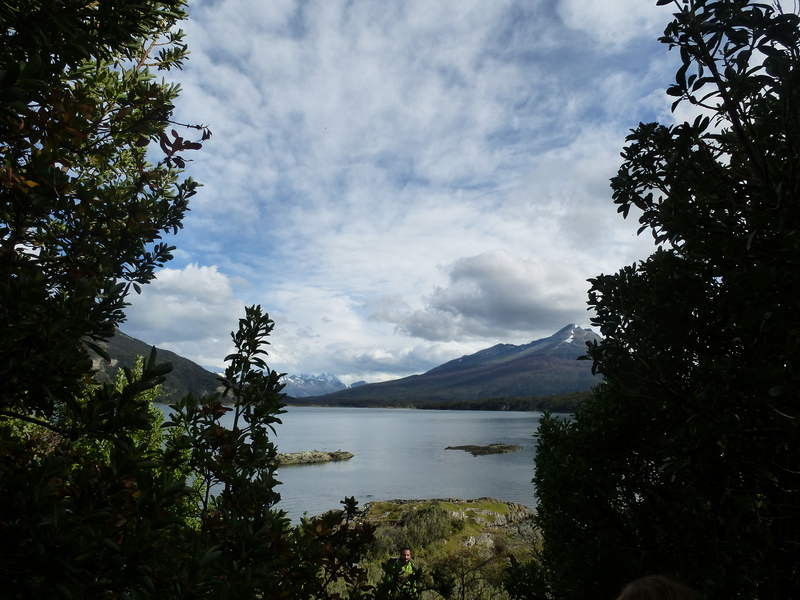 While I didn’t have any doubts in our physical abilities to cope with a day of hiking and kayaking in the Tierra del Fuego National Park, the weather would clearly play a decisive role in our enjoyment. Biting wind and driving rain, not unheard of in the area, would surely make us wince with every step of the hike; every twist of the oar. The consequent risk of dissention among wet and cold family members was very real. We joined a small, internationally-diverse party, led by the charismatic and knowledgeable Valentin from Canal Fun – and started to explore. 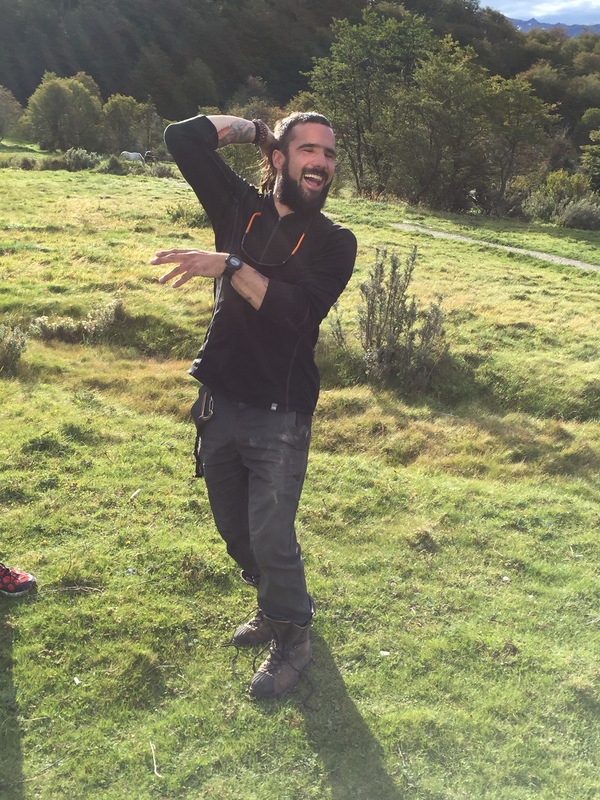 Valentin had a boyish, contagious enthusiasm. 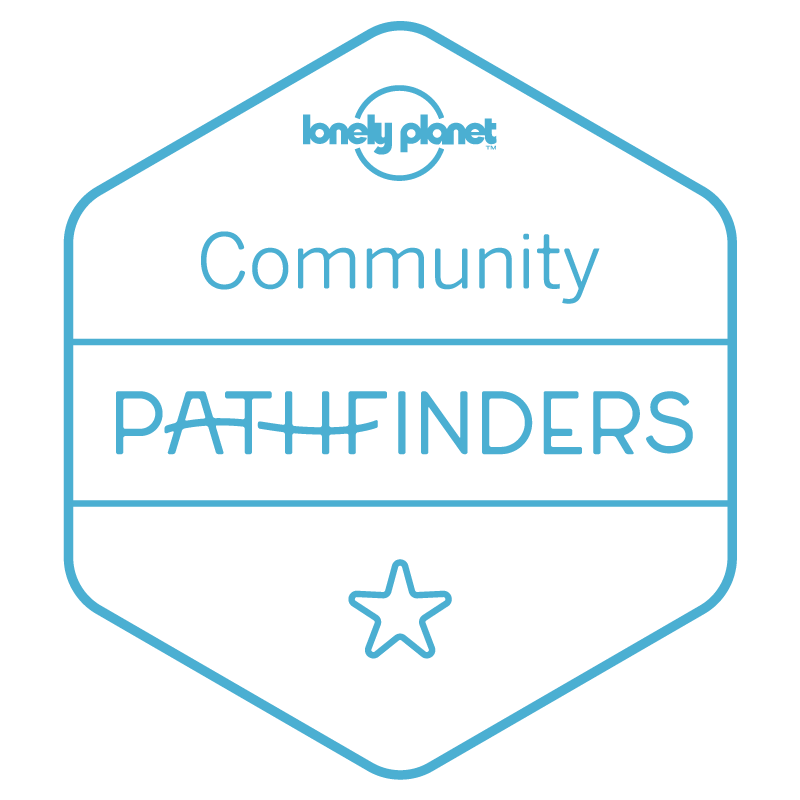 For someone who must have walked that same trail hundreds of times, you would be excused for thinking he had never been there before. His engaging descriptions of our surroundings slipped so effortlessly between English and Spanish that, on occasions, it took me a few moments to realize I no longer fully understood what he was saying. The landscape is glorious. During a three mile hike which seemed to fly by, the view of snow-capped mountains that pierce the horizon was occasionally obstructed by dense forest, to be revealed again in all of its glory when another shoreline next to crystal clear water was reached. We were walking through a postcard. After lunch, and a little kayaking on the Rio Lapataia, arriving at the end of the Pan-American Highway by water added a unique twist to a perfect day. 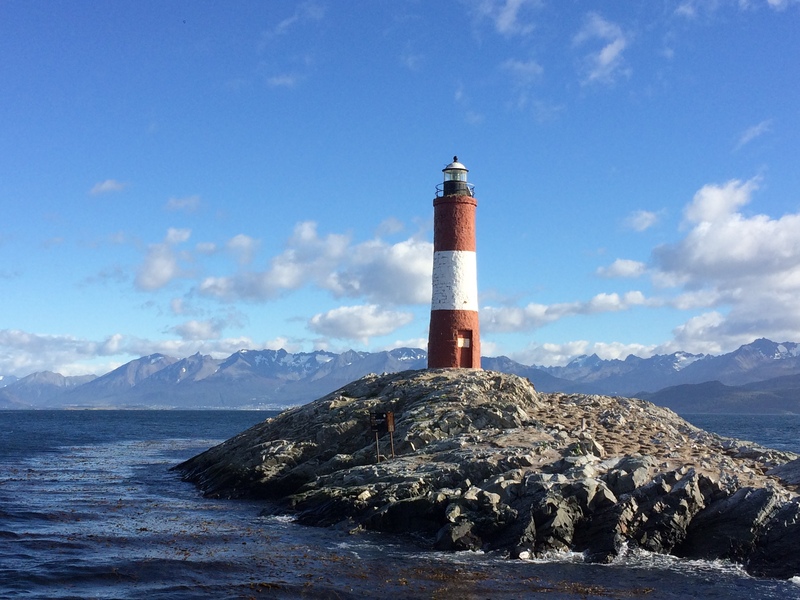 Before heading north again – not that we were spoilt for directional choice – we had time to spend a couple of hours on the Beagle Channel in the company of whales, penguins, sea lions and what is apparently only the penultimate lighthouse at the end of the world. 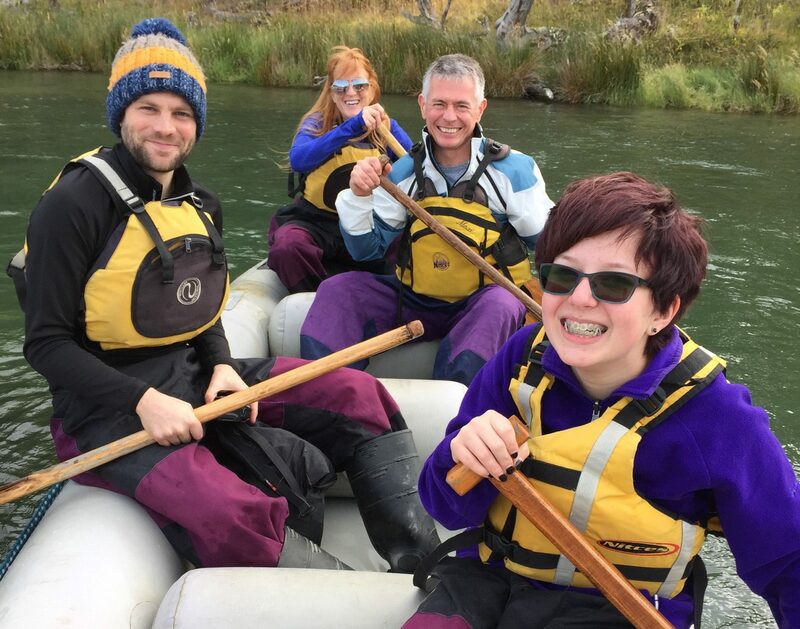 It was like cruising on a millpond, so I can only attribute the weak knees experienced by the female members of our party to our guide, Luciano, and his sensational eyelashes. Arriving later that afternoon at Ushuaia airport, we found ourselves in the middle of a cautionary tale regarding Argentinian airline ticket prices. I have added details of the bizarre incident to the end of this article but, I think it is safe to say, the Aerolineas Argentina website could probably do with a bit of a tweak. 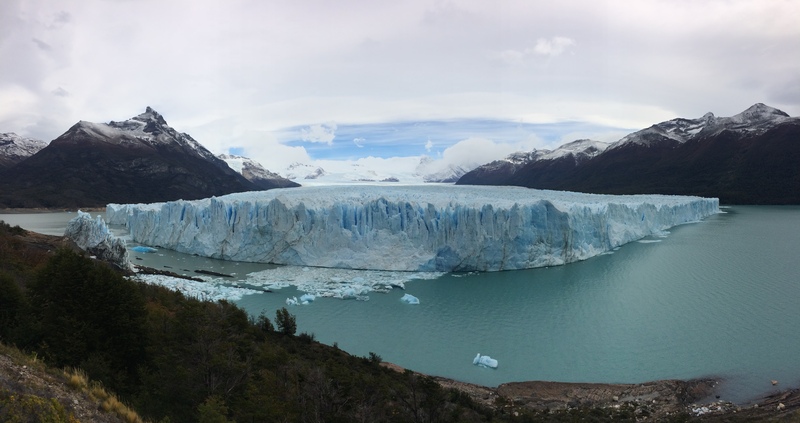 With the price debacle behind us, we arrived in Patagonia with only a couple of days to explore Parque Nacional Los Glaciares from our base in El Calafate – from where, early each morning, small buses filled with bleary-eyed visitors make their way west. A boat ride navigating through the icebergs on the Brazo Upsala and a windswept 4×4 drive from Estancia Cristina to the glacier from which they calved easily fills a full day. Unfortunately, as there’s no competition for the operator of this tour, what would be a quite humbling experience if spent alone among the icebergs is drowned out by the clicks of a few hundred jostling cameras. Yes, if you can ignore the crowd, it’s magnificent. But no, it did nothing to prepare us for what was to come. Awesome is a word used with such abandon today that its true meaning has been lost in a surfeit of exaggeration; that coffee, your friend’s latest haircut, today’s cat video are not – and cannot possibly be – awesome. The Perito Moreno glacier is awesome. 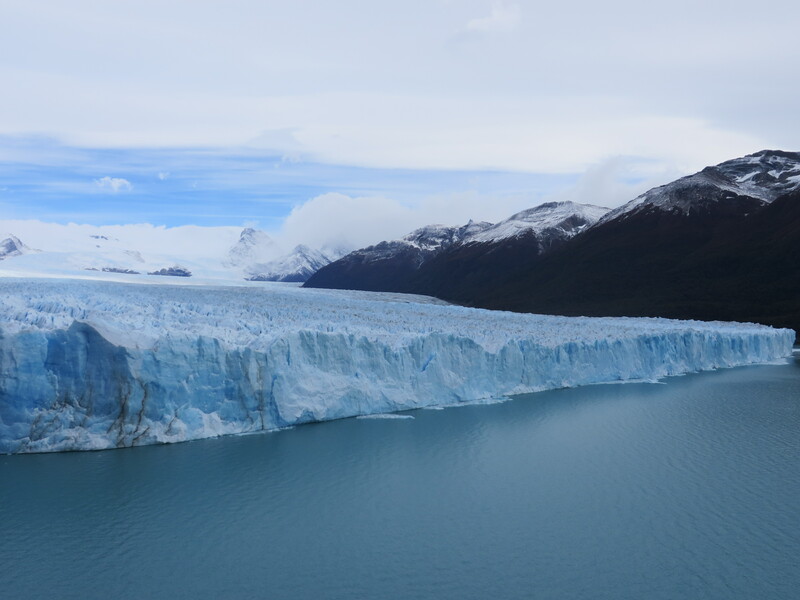 Over 20 miles long, three miles wide, and abruptly ending as a 200 foot sheer face above the milky green waters of the Canal de los Tempanos, the glacier is beyond immense. Creaking and groaning as it moves forward at up to two meters each day – making it a sprinter in glacial terms – it’s as if you’re watching the White Cliffs of Dover trying to get to northern France. 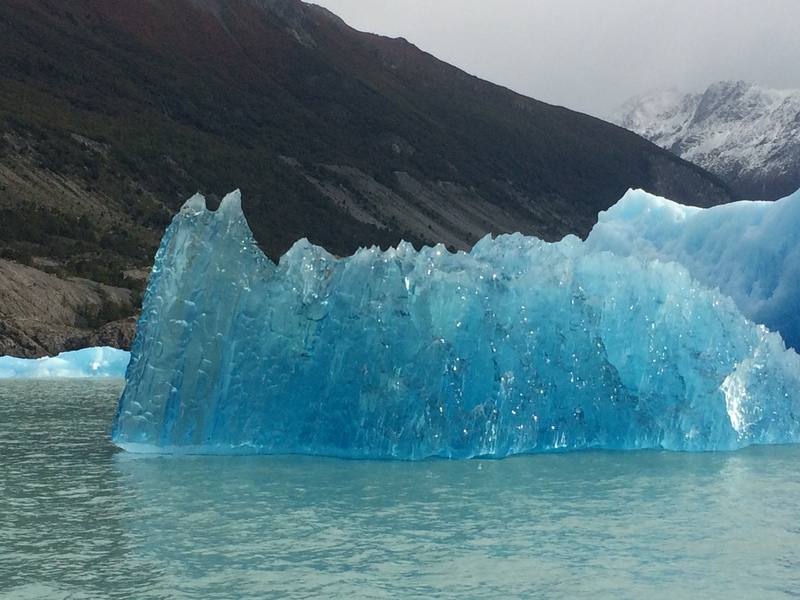 Striking blue veins of compacted ice accentuate great splinters in the glacier. On regular occasions, the splinters find the pressure too much to bear and calve off, crashing loudly and spectacularly into the water below. It is captivating. 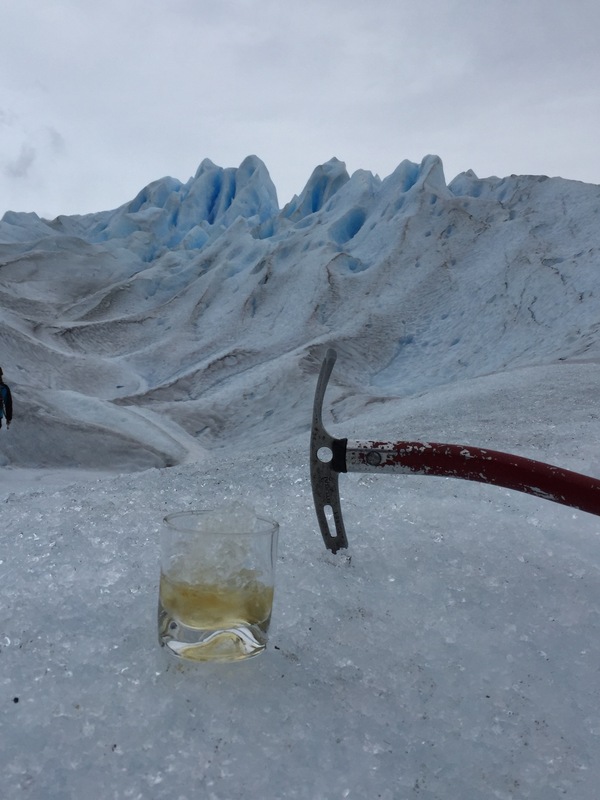 We could easily have spent all day watching a glacier. Watching a glacier! I defy anyone not to be equally mesmerized by the sight. Your eyes are speaking a language that your brain doesn’t fully understand; you know what you’re seeing, but you simply don’t have the mental power to comprehend it. And then we went for a walk on it. Twenty four hours later, as the lights of Buenos Aires faded out of sight, behind our climbing plane, I reflected on our all too brief stay in Argentina. 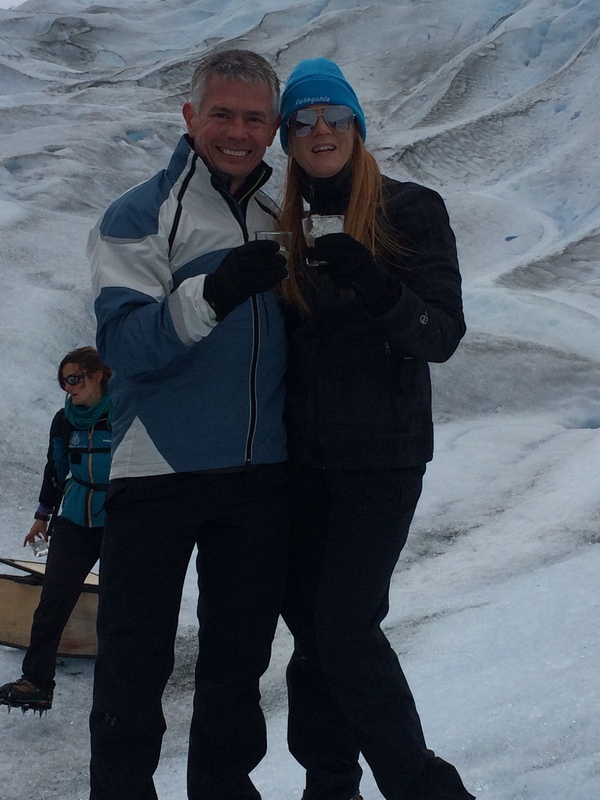 A vibrant city, the purest nature, spectacular scenery and a breathtaking glacier all competed for my thoughts. But my mind kept coming back to one scene; a scene I know will stay with me forever. 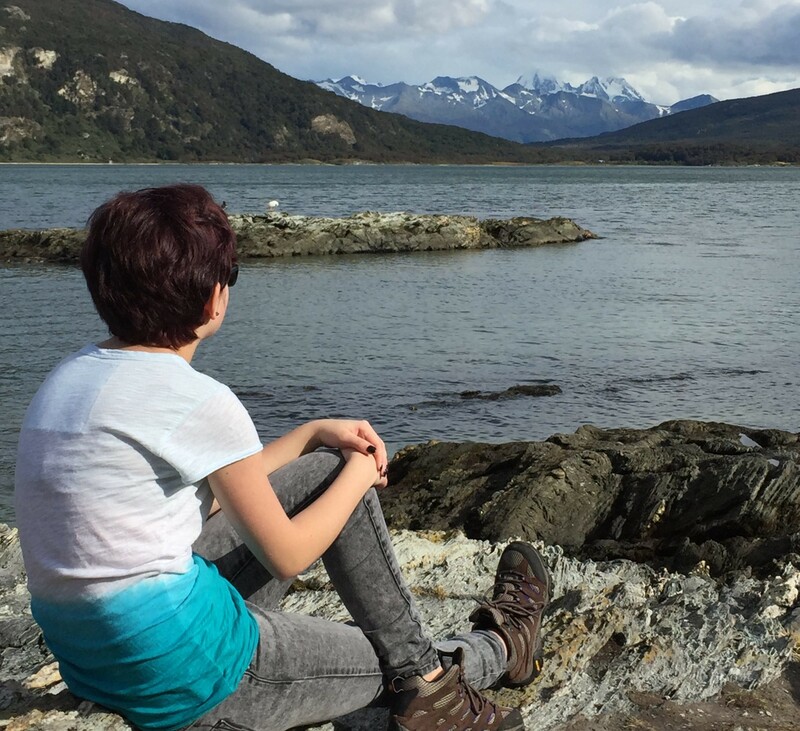 During a brief break in our hike in the Tierra del Fuego National Park, I noticed our daughter sitting by the lake shore, away from the rest of the party. Gone was the blur of texting thumbs; gone was the pained, dour expression that would normally accompany the prospect of a three mile walk. In their place, a contented smile illuminated her face as wide eyes flitted from side to side, trying to absorb the wonder in front of them. It was as if she were thinking, “Well, I never thought I’d get here”. When you book tickets online for flights on Aerolineas Argentina, three or four pricing options are displayed. In small print, there is a reference stating that, “Fares expressed in Argentine pesos (ARS) for flights within Argentina apply only to residents in Argentina.” As I couldn’t find a fare not quoted in pesos, I continued with the booking expecting that, if I had booked a fare unavailable to my residency status, I would be advised later in the process. “Later in the process” turned out to be at the airport check in desk. During the online booking, even after you enter your passport details, clearly identifying yourself as not Argentinian, no advice or error is generated to indicate you can’t book a particular fare. This is why the queue at the airport ticket sales desk is comprised exclusively of slightly bewildered foreigners waiting to pay the difference in price between the ticket they were able to buy online and the higher-priced one they, unknowingly, should have bought.